No Bare Soles is the subsidiary charitable event given of the organization Caring for Others. The project has been active for the past five years and has raised thousands of donated footwear for needy children. 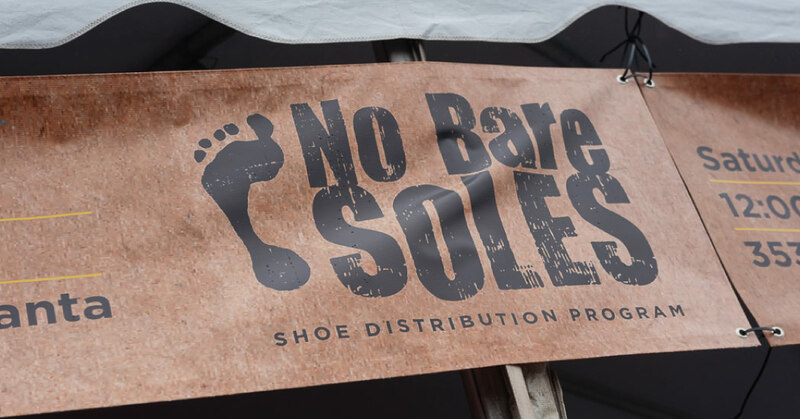 No Bare Soles’ initiative to help families and children affected by poverty transcended to focusing on the millions of children without footwear. The program asks for charitable shoe donations, community volunteers, and the employment of social media to aide in spreading the word. 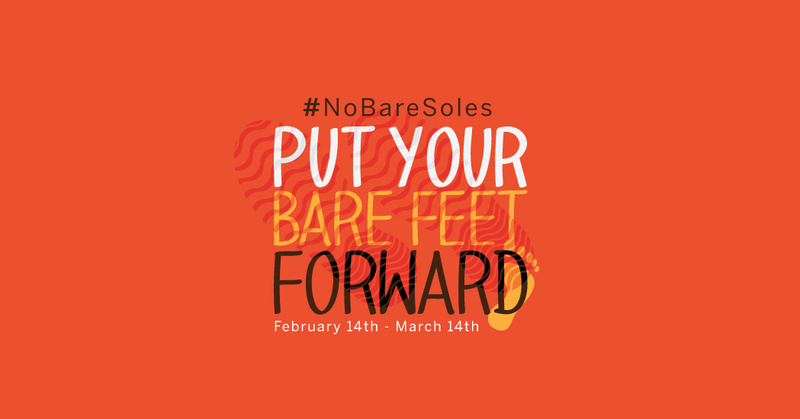 No Bare Souls uses the hashtag #NoBareSoles to spread awareness about the project, and also to add a little fun to giving back. 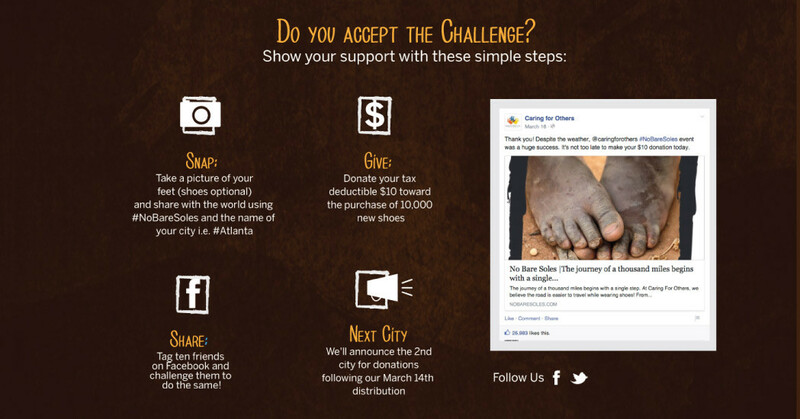 Donors are asked to snap a picture of their feet (shoes optional) and share it using the hashtag. The direction for this site was geared at the people. We used the social media aspect to share the word, and included it within the pages of their website. The link to Facebook was provided in order to further share this initiative with others and reach a target audience. 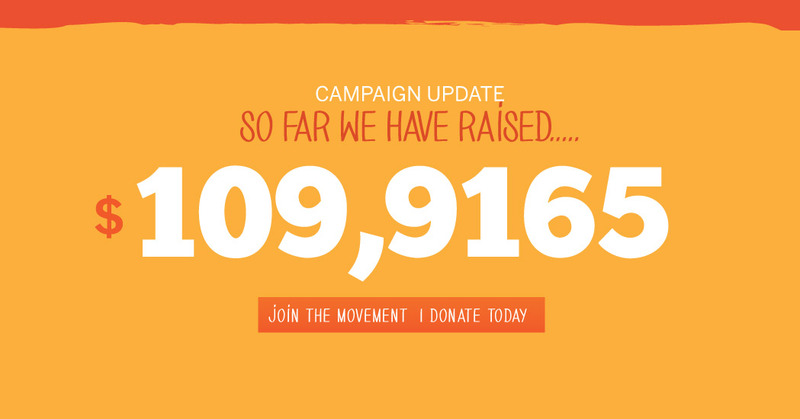 In addition to the sharing features added to their site, the site updated the viewers of its success with campaign updates, and sharing how close they are to goals. A calendar was added to inform the public of dates where No Bare Soles may be in their city. The typography used for this particular site was very important. 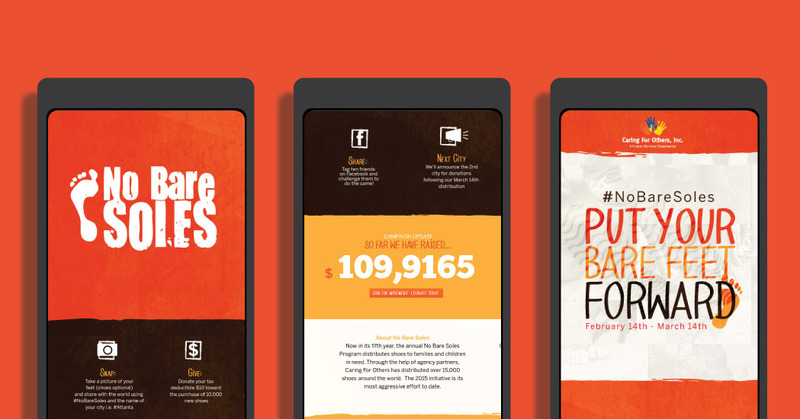 We used Benton Sans, Chunk Five, and Brush Fonts to make the site viewable and very user friendly. 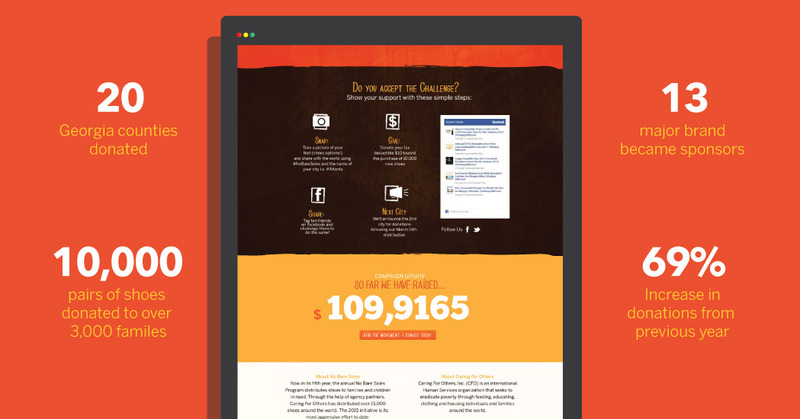 At any point within the site, it was easy to spot the needed information to donate. The viewer didn't have to search very far to catch the information that they needed. In an attempt to add a tad of personality to the site, the colors burnt orange, brown, and mustard yellow were used as the primary colors for the site. Those colors reflected an organic, nature-like feel, that represented sand or dirt. Through the collaboration of colors, designs, and overall informational direction, we were able to create a website that all could enjoy. No Bare Soles successfully used our design to reach its target audience, and ultimately it's most important goal.